Carly Behm | The PHOENIX Bill Savage (left) graduated from Loyola and wrote for The Phoenix. He went to Cunneen’s during college and served as a bartender there for almost three decades. Carly Behm | The PHOENIX Founded by owner Stephen Cunneen, now 83, in 1972, Cunneen's has been a local fixture in Rogers Park for years. 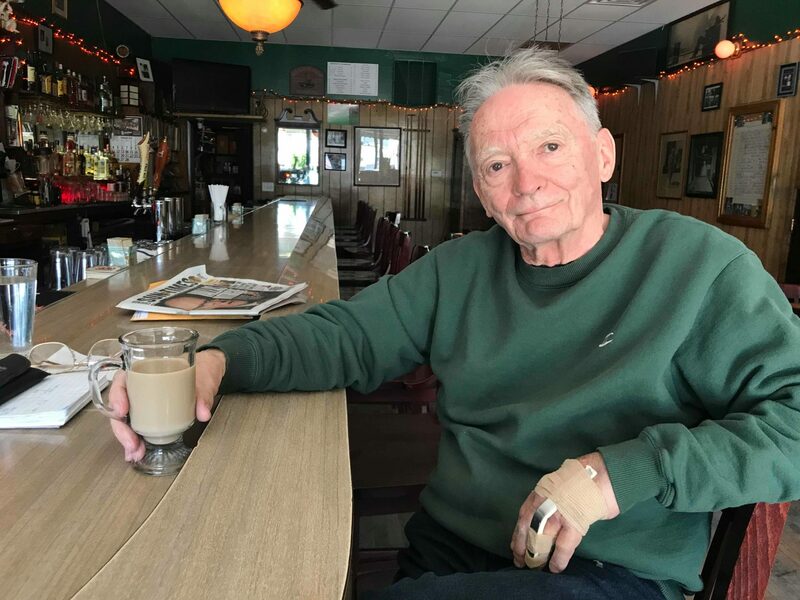 Carly Behm | The PHOENIX Stephen Cunneen opened his namesake bar on Devon Avenue in Rogers Park in 1972, more than 40 years ago. Some of its original customers still frequent the bar. 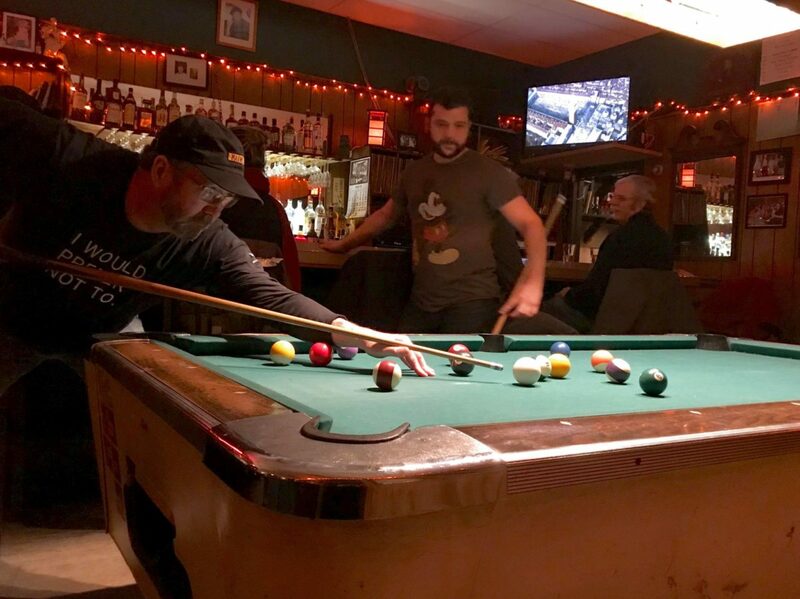 Carly Behm | The PHOENIX Every night, faithful patrons can be found playing 50 cent games of pool and listening to classic rock and jazz records. When Bill Savage, a literature professor at Northwestern University, was an undergraduate student at Loyola University, he frequented Cunneen’s, a small bar located at 1424 W. Devon Ave.
Savage, who used to write for The PHOENIX, worked as a bartender at Cunneen’s for 27 years through 2015 and said the place has since remained a quiet neighborhood bar. The bar’s been a staple in Rogers Park for more than 40 years. It was founded by owner Stephen Cunneen, now 83, in 1972. 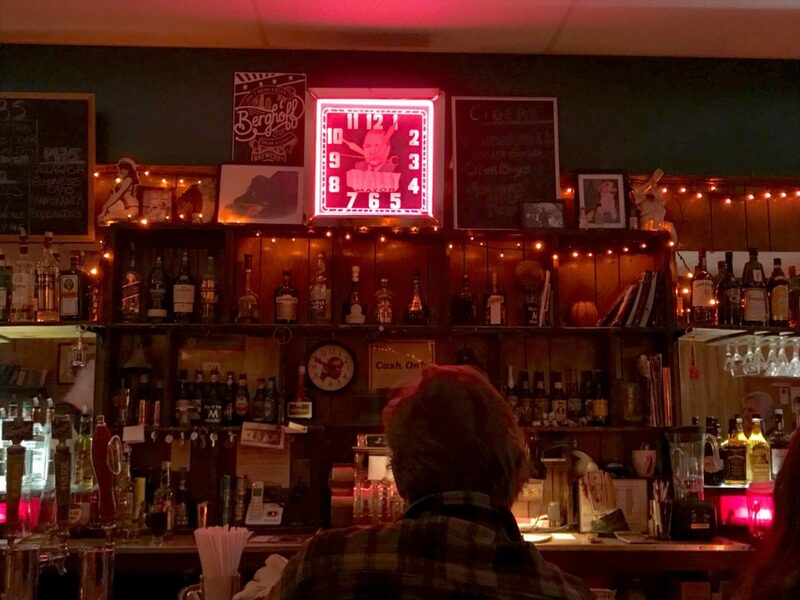 Cunneen can be found at the bar each day around 1 p.m., solving his crossword puzzle — a ritual he’s done for nearly a decade. Since then, Cunneen’s has several residential regulars that still stay loyal to it. Some Loyola students also choose the bar over closer options, such as Bar 63 on North Broadway Street and Bulldog Ale House on North Sheridan Road. Loyola senior Mary Anne Lurquin said she prefers Cunneen’s for its mix of clientele. The bar is softly lit with string lights lining the walls and ceiling. 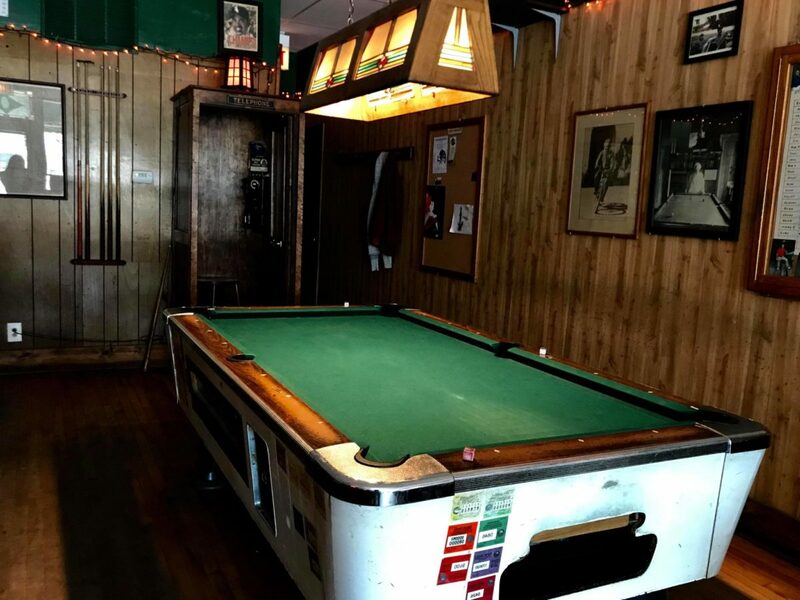 A pool table sits toward the back, and customers can play a game for 50 cents. Classic rock and jazz music serves as a backdrop to customers’ conversations, but it isn’t too loud. In one corner by the window, cozy chairs offer a soft seat for customers to relax or study. A full bar offers an array of beers and liquors. The cash-only bar sells bottles of beer starting as low as $2.50, and the most expensive drinks cost $4.75. Drinks at other nearby bars and restaurants start at $4 and cost as much as $7. There are also records behind the bar to play music off of. Dogs are allowed in the bar except after 6:30 p.m. on Thursdays, according to the bar’s website. When The PHOENIX spoke with Cunneen, he was seated at the bar with his glasses, a notepad and a copy of the Chicago Sun-Times. A green crew neck shirt sat comfortably on his body, and his left ring finger was in a splint. He has a welcoming gaze and a warm smile. Cunneen said he conceived the idea to buy a bar with his friends back when he was a graduate student. However, Cunneen was the only one of the group to seek a location and buy it. The space was previously a bar called Down the Street. In its first years, Cunneen dedicated his time to the bar. He refurbished it with a new ceiling and new tiling in the bathroom. Cunneen said he’s a woodworker and made the tables and lamps in the bar himself. Most of the bar’s furnishings are original, except for the ceiling and one wall, according to Cunneen. Cunneen said the bar’s ceiling caved in 2013 when the tenants living above had their water overflow, with the bar having to close for two months. Cunneen said he was at the bar with the bartender and a customer when it happened. “We heard a noise. The girl behind the bar, she ducked down. Me and another guy were near the door so nobody got hurt, but it was a mess,” Cunneen said. Sunni Lindahl, 68, said she’s been going to Cunneen’s since its opening in 1972. Lindahl said she met her late husband, Leo, at Cunneen’s and has also made many friends there. John Elkin, a bartender at Cunneen’s, said he started going there in the 1990s and began working there eight years ago. He said he likes the crowd and he has the freedom to confront any unruly customers. 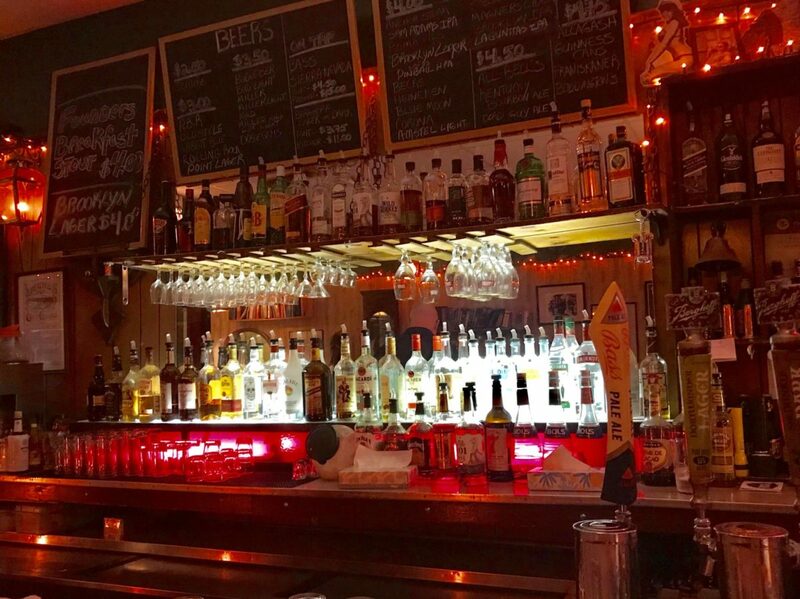 The bar has a reputation for being a quiet bar with little trouble, according to Cunneen. He said he makes a point of kicking out anyone who becomes too loud, drunk or unruly. 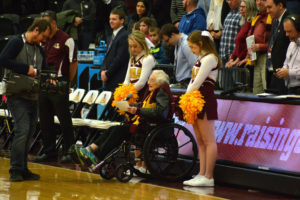 Cunneen’s has also attracted some local celebrities, including newspaper columnists, a coach from Northwestern University and singer Steve Goodman’s mother, according to Cunneen. Lindhal said there’s a rumor that Beat Generation writer Allen Ginsberg stopped in once, but Cunneen can’t confirm it. During the day, the bar is usually frequented by neighborhood residents, with students beginning to come in later in the evening. Cunneen said he could never figure out why Loyola students like the bar, but he thinks the affordable drinks play a factor. Many customers at Cunneen’s said they value the bar, and Cunneen knows this. He said he doesn’t know what he plans to do with the bar in the future, but he knows he doesn’t want to sell it. 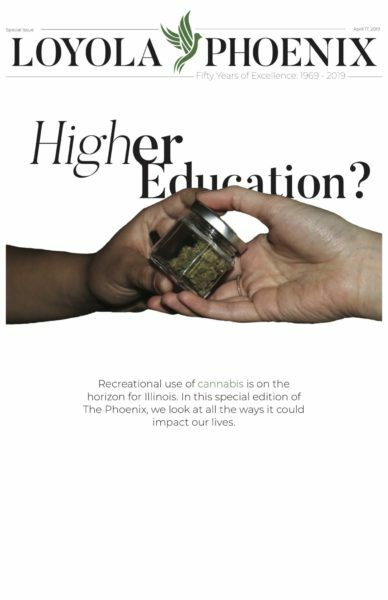 Cunneen said he might pass it on to his fiance. 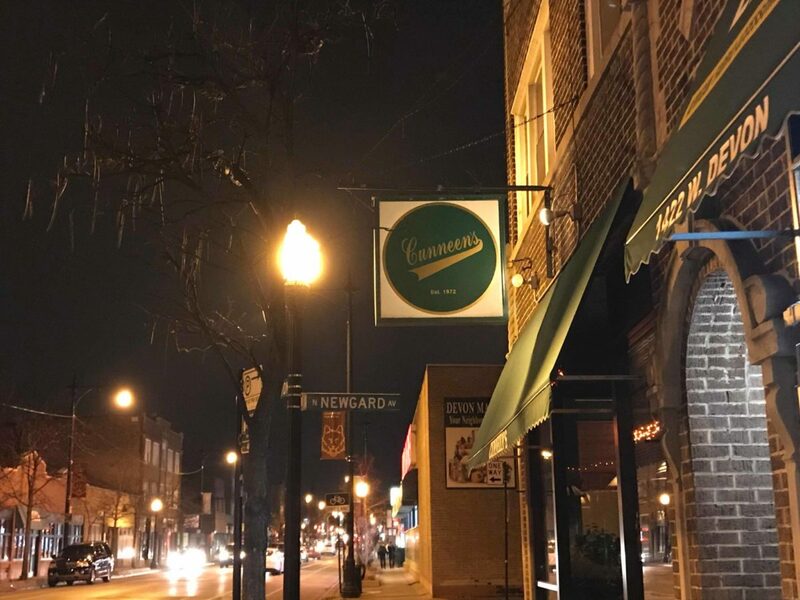 Loyola senior Michael Needham, a physics major who lives above Cunneen’s, said he likes that the bar is still standing despite new developments emerging in Rogers Park. New businesses, such as a university building and a Target, are expected to open near campus in the near future. Loyola junior Jana Richter, 21, said she prefers Cunneen’s for its quiet atmosphere.